Well-known financial guru and speaker Dave Ramsey shares advice regarding managing debt and finances with millions of people. Many folks have managed to unload their debt by following his guidance, helping to make him a trusted source on money matters. 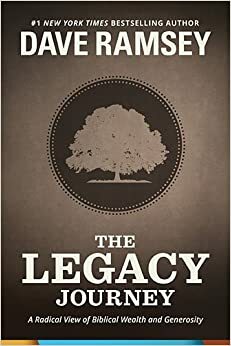 However, one of Ramsey’s books makes a broad statement about a planning tool, living trusts, that is not entirely true. Living trusts require assets to transfer out of the owner’s control. Living trusts allow grantors to retain control over the assets that are transferred into the trust during their lifetimes. Grantors of revocable living trusts generally will serve as trustees of the trust during their lifetimes; thus, while assets are titled in the name of the trust, the grantor, acting as trustee, retains control of the assets and financial decisions related to managing the trust assets. Furthermore, the grantor typically may amend or revoke the trust, if they so choose; see below. Asset investment and distribution must be managed through a trustee. A grantor can make changes to a revocable living trust at any time during their life and can appoint themselves as initial trustee. Thus, the grantor, acting as trustee, retains the ability to manage the trust assets and withdraw assets from the trust during their lifetime. After their death, a successor trustee follows trust provisions to ensure the terms of the trust are carried out. No benefit is provided from the “hassle” of living trusts. Living trusts have many powerful benefits: They may help to avoid probate, minimize tax implications, ensure the grantor’s wishes are preserved, and preserve the grantor’s privacy. Most people can rely on a “carefully designed will” instead of a living trust to preserve their legacy. Wills are filed with the court and made public as part of the probate process, opening an opportunity for someone to contest the terms and possibly alter the testator’s legacy. Terms in a living trust are confidential and are not filed with the court. The grantor can include specific provisions that align with their legacy goals. Living trusts are usually expensive. Living trusts help to avoid probate, which is typically a costly and lengthy process. Depending on the size of the individual’s probate estate, not using a living a trust could be more expensive for surviving beneficiaries who must first navigate the probate process than would be the fee for creating and maintaining a living trust. 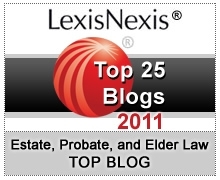 As mentioned in the chart above, probate is not a short or inexpensive process. If an individual has probate assets in multiple states, probate will need to be filed in every state where assets are present. This further increases fees, hassles, and delays. Relying entirely on a will might require that some, if not all, assets will pass through probate. Assets held in trust, on the other hand, pass directly to trust beneficiaries outside of probate. Ramsey appears to be misinformed about trust benefits and trust administration. Unfortunately, Ramsey’s opinions as presented in his book might be interpreted as facts by readers. Please share with your friends that living trusts indeed have benefits and that folks should review estate planning options with an attorney before making adjustments to their estate plans.